Eversholt Rail has awarded Knorr-Bremse RailServices (KBRS) a £6 million contract to upgrade and modernise ScotRail’s Class 320 fleet. Work will be carried out at KBRS’s Springburn Depot in Glasgow and will include new flooring and seat upholstery, power sockets, new signage, LED lighting and an improved CCTV system. Bicycle storage will also be created. In all, 66 carriages will be overhauled. Work is due to start in October and will be completed in 2019. Stephen Timothy, client relations director at Eversholt Rail, said: “We are delighted to be working with KBRS on this exciting refurbishment programme to deliver ScotRail’s train improvement commitments, which will bring great enhancement to the passenger experience across the network. 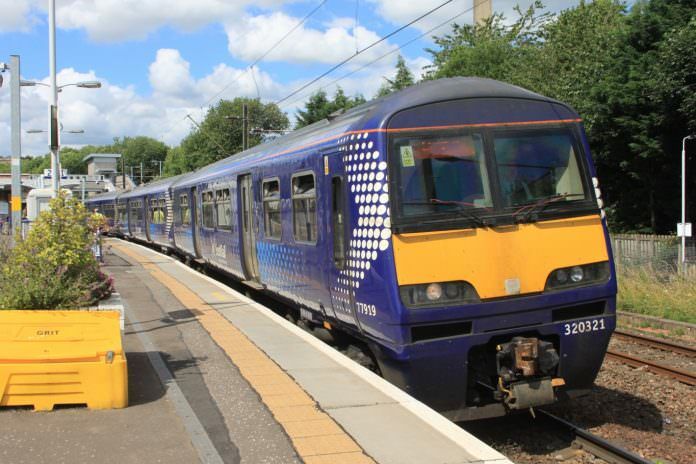 Ian McConnell, the ScotRail Alliance’s programmes and transformation director, said: “Over the next two years we will be working hard to change the face of rail travel in Scotland, with the introduction of our Class 385 and high-speed train fleets. Eversholt is also in the process of upgrading Greater Anglia’s Class 321 fleet – a project called Renatus. Two upgraded Renatus trains have already returned to service. Thirty trains will be modernised altogether.